Being flaky is good if you are talking about croissants. And the buttery, crescent-shaped rolls fresh from Main Street Bakery’s oven melt in your mouth without splintering into piles on the plate. This Deep Ellum fave’s black pepper-crusted bacon, with its deep smoky flavor, steals the show. It’s always perfectly baked: the right balance of crisp and meaty. The 15 varieties of fresh-baked muffins make this cafe popular with the Uptown crowd. 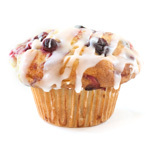 But we think the cranberry orange muffin is the ideal blend of tart and sweet. Kuby’s processes its own meat: all-natural coarse-ground pork with no fillers. 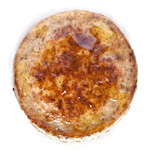 A hint of sage is just the right spice, making this patty pork perfection. 6601 Snider Plaza. It’s the last thing you might expect to find at Cindi’s New York Style Deli, but there it glistens in the pastry case: the best bear claw in town. 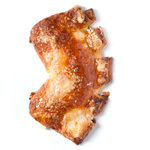 The traditional bear claw has almond paste and sometimes raisins, but Cindi’s does two über-rich flavors: apple, like the ones you see at doughnut shops; and cheese. 11111 N. Central Expwy. 214-739-0918. Multiple locations.